The Columbia TriStar Motion Pictures Group is a highly valued operation within Sony Corporation of America (SCA). 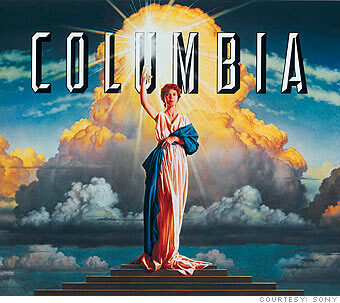 Distributing around 22 films a year in the United States alone, Columbia TriStar includes a production studio, film labels, and global motion picture production operations. The film company is consistently producing the most popular pictures at the box office. The Call (2013): “The Call” stars Halle Berry as a 911 operator destined to meet the killer of her past. Directed by Brad Anderson, this story will have you on the edge of your seat. Zero Dark Thirty (2012): Director Kathryn Bigelow’s historical drama/thriller chronicles the hunt for al-Qaeda terrorist leader Osama Bin Laden in this Oscar-winning film starring Jessica Chastain and Jason Clarke. Skyfall (2012): Daniel Craig stars once again as 007, otherwise known as James Bond, in this action flick directed by Sam Mendes. Evil Dead (2013): Frede Alvarez has, according to critics, directed the scariest movie of all time. A remake of the original 1981 film, “The Evil Dead,” this horror film stars Jane Levy. For a better look at the studio’s statistics, follow the link here. White House Down: Starring Channing Tatum and Jamie Foxx, this action/drama will remind audiences of the recent release, “Olympus Has Fallen.” While touring the White House, Tatum must save his daughter and the President as the capital falls to armed invaders. Director Roland Emmerich and screenwriter James Vanderbilt will have audiences on the edge of their seat. Scheduled release date: June 28, 2013. Click here to see a preview of the trailer. Additional future releases for the year include Grown Ups 2, The Smurfs 2, Elysium, The Moral Instruments: City of Bones, One Direction: This is Us, Battle of the Year, Cloudy With a Chance of Meatballs 2, Captain Phillips, Carrie (2013), David O. Russell Untitled, and Monuments Men. “Divisions | Sony Pictures.” Divisions | Sony Pictures. Sony Pictures Digital Productions Inc., 2013. Web. 04 Apr. 2013. “Senior Management Team.” Sony Pictures. Sony Pictures Digital Productions Inc., 2013. Web. 04 Apr. 2013. “The Call (2013) – Box Office Mojo.” Box Office Mojo. IMDB, n.d. Web. 04 Apr. 2013. “Zero Dark Thirty (2012) – Box Office Mojo.” Box Office Mojo. IMDB, n.d. Web. 04 Apr. 2013. “Skyfall (2012) – Box Office Mojo.” Box Office Mojo. IMDB, n.d. Web. 04 Apr. 2013. “Evil Dead (2013) – Box Office Mojo.” Box Office Mojo. IMDB, n.d. Web. 04 Apr. 2013. “Box Office by Studio | Sony/Columbia.” Box Office Mojo. IMDB, n.d. Web. 04 Apr. 2013. “After Earth.” IMDb. IMDb.com, 15 Oct. 2012. Web. 04 Apr. 2013. “This Is the End.” IMDb. IMDb.com, 22 July 2012. Web. 04 Apr. 2013. “White House Down.” IMDb. IMDb.com, 11 Nov. 2012. Web. 04 Apr. 2013. [13 ] Brittany. “Amy Pascal Receives Icon Award.” Sony Pictures. Social Central Moderator, 22 Mar. 2013. Web. 04 Apr. 2013. “Sony Pictures at the Oscars.” Sony Pictures. Social Central Moderator. N.p., 25 Feb. 2013. Web. 04 Apr. 2013.